Park Muffler Radiator Brakes & Tires, Edmonton area automotive engine repair shop, is highly qualified in the repair, replacement, and servicing of engines for cars and trucks. Our certified technicians understand and appreciate that the engine in your car or truck is the very heart of your vehicle. The purpose of a vehicle’s engine is converting the heat produced by burning fuel (gas) to the mechanical energy required to rotate the wheels of your automobile. Your automobile’s starter is what sets your engine in motion. The starter is connected to the flywheel, which sets the engine crank shaft moving. The crank shaft then begins to move the engine’s pistons up and down in the engine’s cylinders. The engine itself is comprised of two parts, the cylinder head (upper part), and the cylinder block (lower part). The objective of our auto repair shop is to keep the engine in your vehicle in top performing condition. Our mechanics are professionally trained in every aspect of engine repair and maintenance. 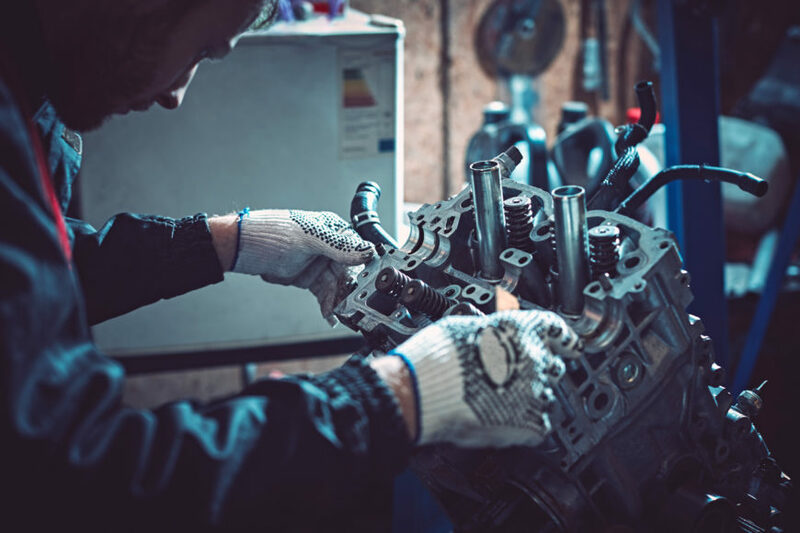 From tune ups to overhauls, troubleshooting, timing adjustments, diesel and performance engine repair, engine rebuilds and replacements, Park Muffler Radiator Brakes & Tires does it all. Our certified, trained technicians employ the latest, state-of-the art diagnostic tools and techniques so that you can drive worry-free. Call us today to schedule an appointment with one our certified engine service specialists.